-ARCHITETTURE DEL CORPO, where old towns, villas, palaces, museums and contemporary buildings, the land art Arte Sella Musem, the scenery along the Brenta cycle path, will host the new dance projects that will take place during Summer 2015. -and the GUERA GRANDA with In Memoriam/After the end: a unique project conceived by the Israeli choreographer Sharon Fridman, featuring 100 dancers and 300 choristers. The theatre festival is a journey through emotional and physical places, marked by a strong attachment to a territory from which art, reflection, food and culture flourish. The intertwining of fascinating locations, literal and theatrical texts, and enogastronomy are the theme of the EXP(L)ORANDO theatre season. The art of theatre meets the culinary one through narrations, dinner theatres and original dramaturgies. The GUERA GRANDA project will present several special events dedicated to the 100 years anniversary of the Great War. Through Bassano and the Pedemontana area, innovative projects will be staged to remind and understand that from the tragedy of war, only the challenge of peace can arise. The last theatrical project is SUPER-EROI FUORI DAL TEMPO which will host Natalino Balasso, the Cuscunà/Musso/Questa trio, and Iaia Forte performing a text by Paolo Sorrentino. Nationally and internationally recognised as one of the most interesting artistic projects in Italy, B.Motion will continue its research on the languages and ways of the contemporary Dance and Theatre. Over 30 events in 8 days, most of them are national premieres. The project features the best of the European and Italian scene, with many among the artists supported and involved in the several projects of the Bassano CSC. As usual, the first period will be dedicated to the international contemporary dance while the second will be dedicated to the Italian last generation theatre, enriched by prestigious European performers. There also will be place for reflecting and going in depth with the young critique of national and international scholars and professionals. 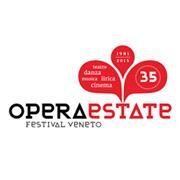 Operaestate Festival Veneto presents its 35° edition, taking place in Bassano del Grappa and the entire Pedemontana Veneta area: from June to September, in 40 “città palcoscenico”. Dance, Theatre, Music and Cinema events, through innovation and tradition, natural sceneries, history, art and the delights of a territory that can be discovered through a spectacular journey, lasting the whole summer. Bassano is home to the Operaestate Festival; here several dance, music and theatre projects are developed, featuring artists and companies from all over the world. The festival then spreads to 40 other towns in the area of Vicenza, Treviso and Padova, but also of Trento and Belluno, where the combination of physical and conceptual art remains one of the festival aspirations, and the performances will often be inspired by the places and natural scenarios of the territory.